A superlative saga of courage and compassion, Run Boy Run tells the extraordinary true story of a young Polish boy’s struggle to outlast the Nazi occupation and maintain his Jewish faith through his intrepid will and the kindness of others. 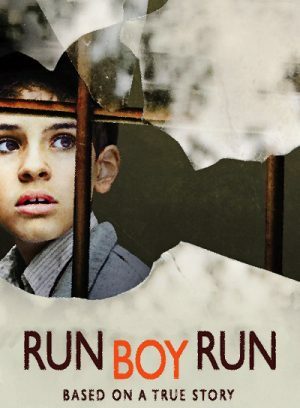 Escaping the Warsaw ghetto at the behest of his father, nine-year old Srulik (movingly portrayed by twins Andrzej and Kamil Tkacz) flees to the woods. There, he learns to hide from SS patrols and scour for food, until loneliness and the harsh onset of winter drive him back to civilization. He encounters people who will betray him for a reward, who will beat him up or try to kill him, and he meets those, who will do and risk almost everything to help him. But he struggles on against all odds.